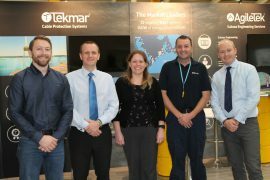 Dutch company Royal Boskalis and UK-based Tekmar Energy have announced a framework agreement to support the global offshore wind market, covering new product development and innovation. 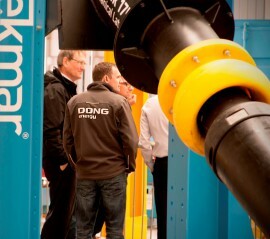 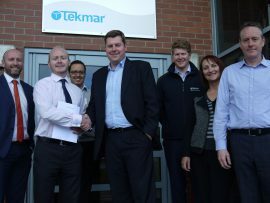 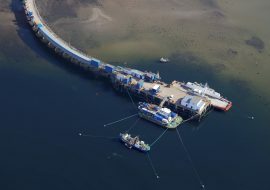 UK-based provider of subsea technology and services to the offshore wind and oil & gas industries, Tekmar Group, will start trading on the AIM market of the London Stock Exchange on 20 June and plans to use the placing proceeds to acquire Tekmar Limited, repay debt within the Group and provide some GBP 10 million to fund future expansion and acquisitions. 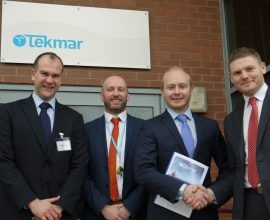 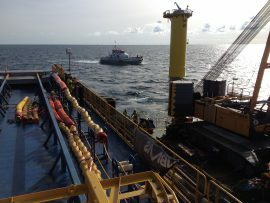 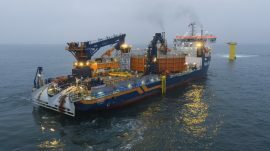 Tekmar Energy has won multiple contracts by Van Oord to supply its Cable Protection Systems (CPS) for the Deutsche Bucht offshore wind farm and the BorWin3 grid connection system in the German North Sea. 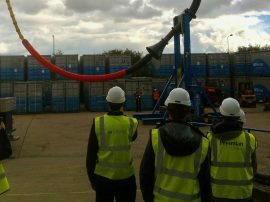 UK-based cable protection system specialist Tekmar and China’s cable installation services provider S.B. 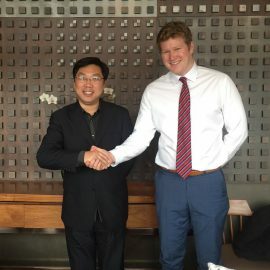 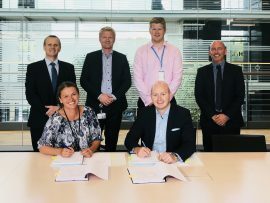 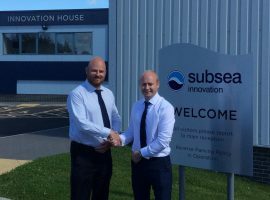 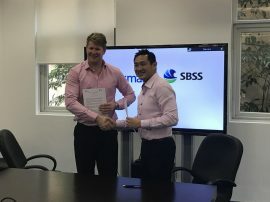 Submarine Systems (SBSS) have signed a Memorandum of Understanding (MoU) to collaborate as each other’s preferred partner in offering export and inter-array cable protection to the Chinese offshore wind market. 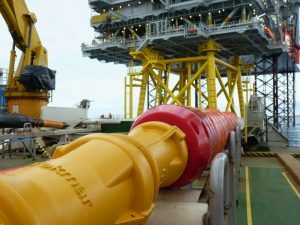 UK-based cable protection systems specialist Tekmar Energy has won a contract to supply it’s Polyurethane J-tube bellmouths and cover disks for the HVAC transformer platforms on the 600MW Kriegers Flak project in the Danish Baltic Sea. 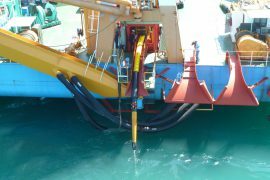 Tekmar Energy, specialists in cable protection systems (CPS), has announced that the installation of the cables and the Tekmar CPS units on the Binhai North H2 project in China is expected this summer. 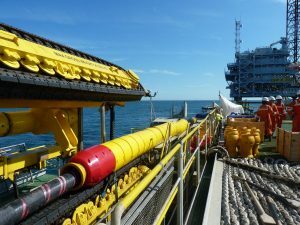 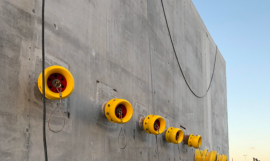 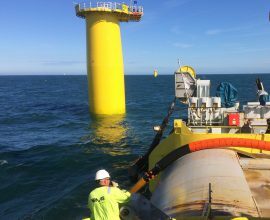 Cable protection specialist Tekmar Energy has been awarded a contract by VBMS to supply its 7th generation of TekLink Cable Protection Systems (CPSs), bellmouths and cover disks for ScottishPower renewables’ East Anglia ONE offshore wind farm. 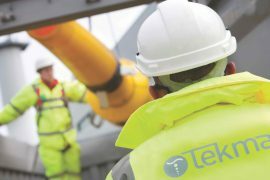 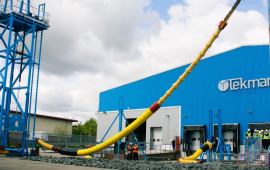 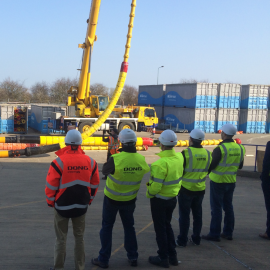 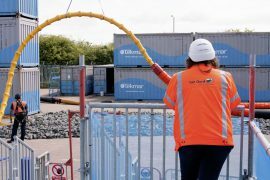 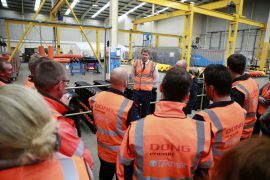 The UK-based Tekmar Energy has been awarded contracts to provide its Cable Protection System (CPS) units for two offshore wind farms in the UK, one wind farm in Germany, and one wind farm in China.